YANGON–Myanmar's army accused rebels on Friday of attacking and killing "some" of its soldiers, the first skirmish acknowledged by the military in the wake of it unprecedented ceasefire with ethnic armed groups. 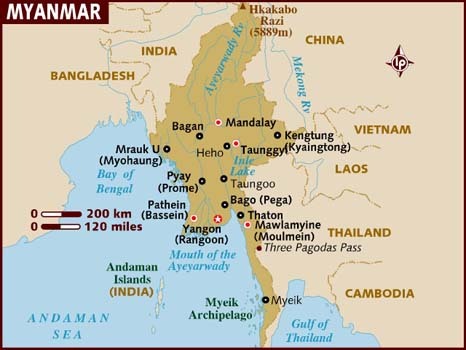 But the Tatmadaw, the military's Myanmar name, said their soldiers stationed in Shan state were attacked on Thursday by troops from the Shan State Army (SSA) -- also known as the Restoration Council of Shan State (RCSS). "Some Tatmadaw men were killed and some injured in the attack were sent to the military hospital... for treatment," said a statement Friday from the Office of the Commander-in-Chief. "The Tatmadaw will strongly stand by its...ceasefire declaration and respond in line with the law to the attacks of the SSA." The army also hit out at local news outlets for publishing reports of skirmishes between the Tatmadaw and other armed groups, threatening "action in accordance with the law", said a statement posted Thursday by the military's information team. No representative from the RCSS could be reached for comment. Even with the army's declaration of a ceasefire, Myanmar's border regions are subjected to fighting between opposing armed groups. The situation on the ground is "very complicated", said Brigadier General Tarr Phone Kyaw, a spokesman for the Taaung National Liberation Army (TNLA) -- one of the larger ethnic armed groups battling the military in the northeast. While the TNLA is still battling the RCSS, Tarr Phone Kyaw said they are honouring the ceasefire with Myanmar government troops and there has been "no offensive" against them. "We have been instructed to stay in our own area," he told AFP. Conflicts have been festering in the border areas since independence from Britain 70 years ago, with various armed groups fighting for autonomy, identity, resources and territory. The peace process has been defacto leader Aung San Suu Kyi's stated priority since her party swept to power in landmark elections in 2015, as the country opened up following half a century of military rule.